Ban Zarbo’s mother first introduced her and her twin, Gin, to anime and manga as young girls. Even then, the twins aspired to one day become manga creators. 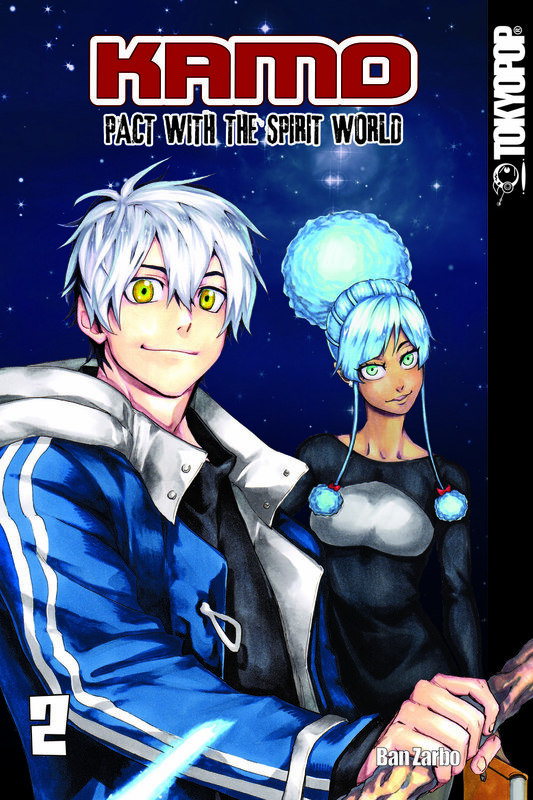 At just 24 years of age, the Swiss natives with Dominican and Italian roots have already reached their goal, building a following of devoted fans through social media, and the eventual German publication of their work by TOKYOPOP. How were you first exposed to anime and manga, and what first inspired you to create your own? My mother read manga and watched anime, and occasionally put my twin sister Gin and me in front of the TV, if she wanted a rest from raising twins. The first manga I read was the first volume of Naruto, which inspired me to draw my own manga. Gin and I read it over and over from cover to cover. The biggest source of inspiration are the stories of my mother and my Dominican kinship. My siblings and I have grown up with ghost stories and so I could not help but develop a predilection for mystery, horror and crime. In addition, the novel series The Five Gates (Anthony Horowitz) and 7 Weekdays (Garth Nix) and series like Supernatural, Ghost Whisperer, Constantin, Mirror etc. serve as inspiration. How did Kamo come about, and what inspired its creation? Kamo was my first self-published manga. I asked my followers on Facebook to decide what kind of story they want to read from me, and they chose a ghost story. I had actually drawn the manga just for fun and was surprised how well people responded to Kamo. Previously, I had always drawn only for myself and the sides at most shown to my sister Gin. Six years ago I first heard about the manga and comic conventions in Germany and decided to sell my manga for sale. The positive feedback on my drawings and my ideas encouraged me to continue working on my stories. We have been in contact with TOKYOPOP since 2009, because my sister Gin had read in AnimaniA magazine that TOKYOPOP was organizing a portfolio review at the Leipzig Book Fair. At that time I had a 50-page story, because I thought I would need a 40-page pilot chapter. When TOKYOPOP contacted me to say they wanted to publish Kamo, my heart was beating so loud I almost died. What fascinates you about the spirit world and are there certain titles that have influenced you? I myself have never had a supernatural experience, but my relatives from the Dominican Republic strongly believe that ghosts actually exist (Dominicans are very superstitious). Of course, I always try to find a rational explanation for supernatural events and phenomena, but it is still fun to think about whether there are things that can't be seen by the naked eye. Does your Dominican heritage inspire your work? The character Shokola has Dominican roots, and is modeled after my own mother and my little sister (and maybe a little bit of me, ha ha). I also have [Goldfisch creator] Nana Yaa's afro-hair splendor in mind, which also influenced her design; I tied them together and put them to paper. She also speaks Spanish, as I speak a little myself. Most of my other characters are completely made from my imagination. They develop during the story as I get to know them myself. Creating manga is so rewarding as I see them transform from sketches or color illustrations brought to life by the action. Thank you, dear readers, for reading this interview. I will try to continue to improve and always present you an exciting story. I sincerely hope that the German manga scene continues to grow, remains as productive as now and artists continue to do everything they can to further develop. It will be nice when readers no longer distinguish between German and Japanese manga. In any case, I thrive on your support and I would be very happy if you would accompany me on this path. Over and out!